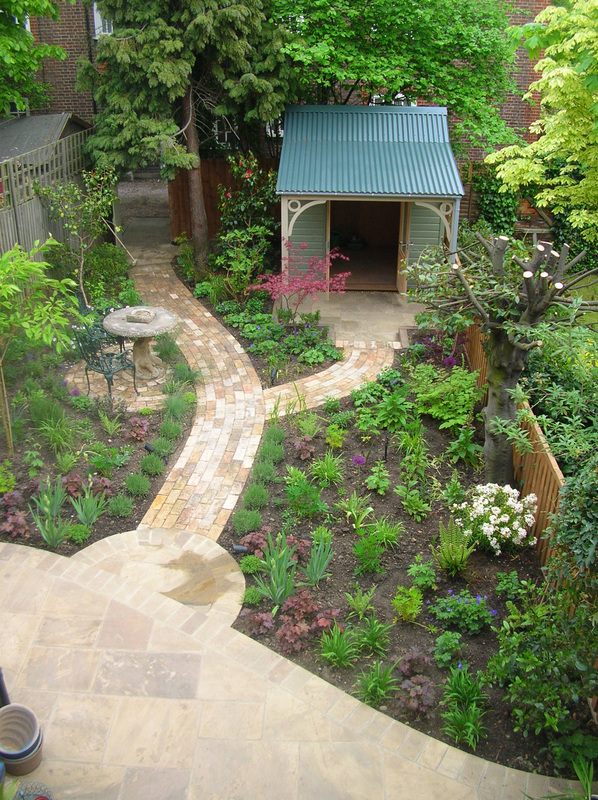 It is not often that I am asked to create a garden where most of the space is given over to plants, so It came as a refreshing change to fill this small garden in north London with a high proportion of flowering perennials. 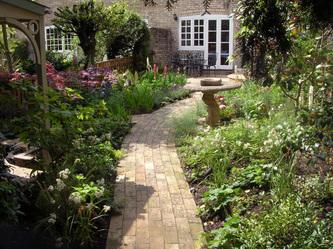 The existing garden had a few decent plants, but was otherwise dominated by overgrown shrubs, and poorly laid out. 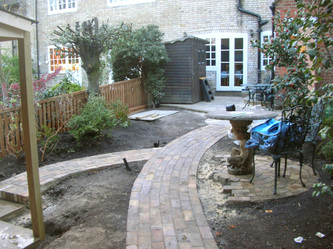 New boundaries were needed, in a friendlier style, and a larger patio area. The old lawn was very mossy and served no real purpose. 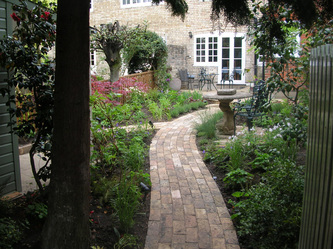 A bay tree took up a prime spot and cast a lot of shade on the garden nearer the house. 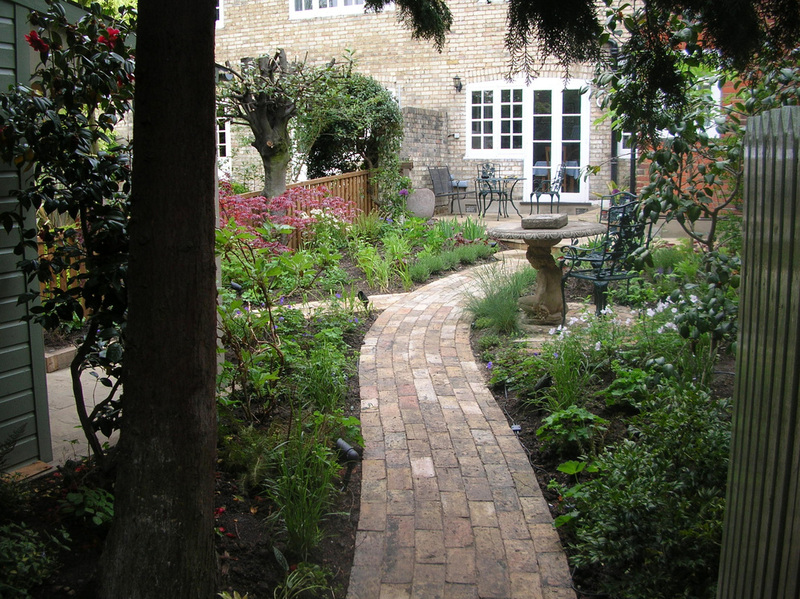 The garden could be entered from a gate at the back, as well as from the house, so a friendly brick path was favoured to run from the rear corner to a York stone patio near the house. 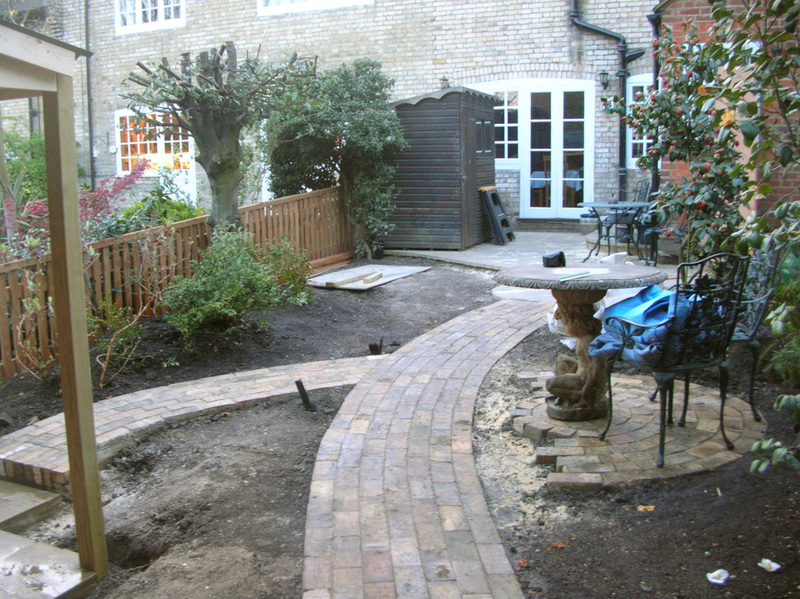 A short curved path led from this path to the 'shed', with a veranda, and a small brick semi-circle on the other side of the main path, in a favoured spot, for some warm afternoon sunshine. The Bay tree was hard pruned to a flat topped shape, with the intention of pruning it regularly to create a formal shape that allowed a lot more light into the garden. 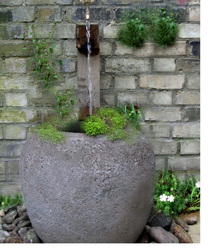 A small water feature was positioned on the patio,for the relaxing sound. 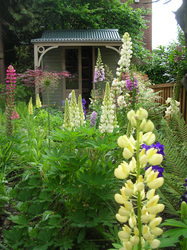 The garden included lighting and a programmable watering system, and power was run to the shed. We were lucky to have some good soil here, and well drained. The new planting grew exceptionally well in the first season, giving a colourful show, and a good sense of the soft and fragrant enclosure that was intended.